High-rise 5-pocket jeans. 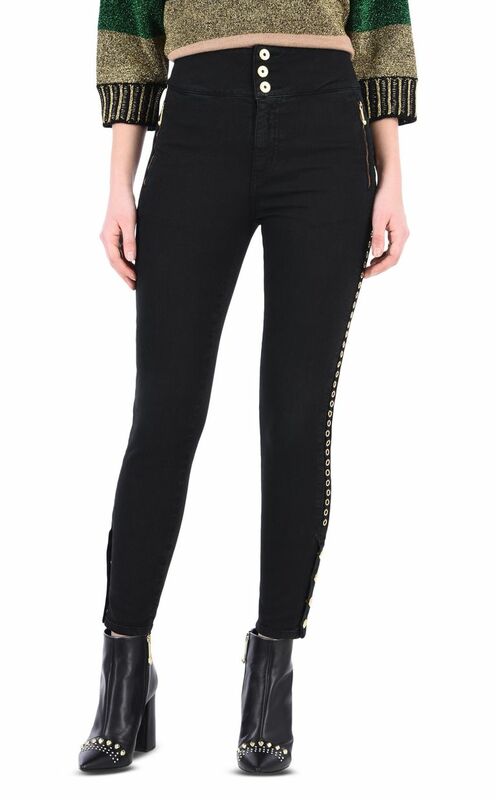 Featuring round stud details down both legs ending in four buttons at the ankle. Side pockets with contrast zip fastening. Central button fastening. Slim fit.